Classical Pearls Herbal Formulas™ is a small company of dedicated Chinese medicine practitioners. The Classical Pearls Herbal Formulas™ product line is an organic offspring of Dr. Heiner Fruehauf’s prolific career in the research, teaching, and practice of Chinese medicine. Heiner founded the company in 2008, inspired by 20 years of studies with a broad variety of herbal masters in China and his own clinical experience treating chronic and recalcitrant conditions in Western societies. He saw a distinct need for potent herbal formulations that could be used in the long-term constitutional therapy for difficult health problems that appear resistant to conventional medicine and standardized TCM herbal approaches. The company is operated by a small and dedicated staff. 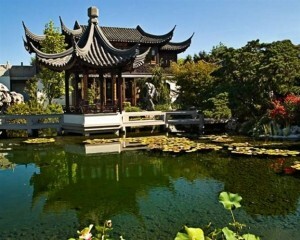 Most members are also practicing Chinese medicine in the Portland, Oregon area. Nearly everyone consults closely with Heiner, working to manifest his vision for making the art and science of Chinese herbal medicine as clinically effective as possible – inspired by the teachings of the medical classics and the living example of his teachers in China, who have passed along complete versions of their lineage knowledge and clinical experience. 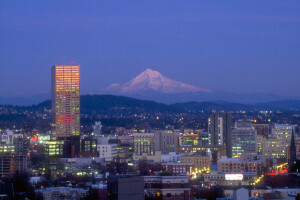 With its diverse cultural makeup and high quality of life, Portland is a prime location for the work we do. Located in the fertile Willamette Valley, the city is home to several universities, a naturopathic college, two Chinese medicine schools, two massage schools, a chiropractic college, and many conventional medical training programs.The surrounding natural wilderness promotes an attention to sustainable living, and the local population tends to regard health and well-being, nutrition and an active lifestyle as primary contributors to their longevity and vitality. It is our hope that this spirit of prosperity, quality, and well-being is apparent in our products and the way we do business.